The comedy of entertainer Steve Martin has been a part of American life for 4 decades. We all know his hilarious movies and abilities as master of ceremonies at the award shows. He’s more than a comedian, actor and writer; he’s a true American icon and musician. Who would have thought that this untouchable star would descend to Earth and start hanging out with us banjo players? As a player and specifically a builder, I run into the world’s best players from time to time. I am friends with several superior players. 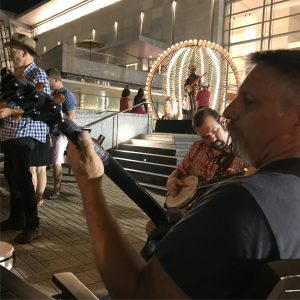 While these players represent my own personal stars, you might see the greatest banjo player in the world walking around in public without worrying about the paparazzi. 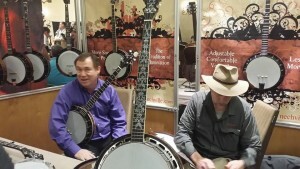 The world of great banjo players exists at very much a grassroots level. The banjoist’s world represents the antithesis to glitzy Hollywood fanfare. All the players I know display an earthy and honest approach to life. As an average Joe, my view of Hollywood is limited to supermarket pop tabloids and magazine covers. It’s an imaginary world so far from home that I don’t want to know too much about it. Thankfully there are those in the limelight of fame who are unafraid to become known to a wider grassroots populace. 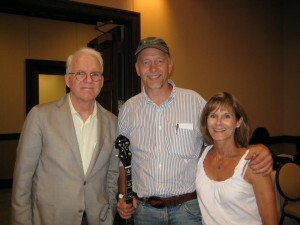 Steve Martin has shown us a passion for banjo music that is making a huge difference in how bluegrass and acoustic music is perceived and appreciated. Martin has spent a lot of time touring the last several years with The Steep Canyon Rangers, a talented North Carolina bluegrass band. If you have not yet experienced their show, you are missing some great entertainment. Being dubbed Entertainer of the year by the International Bluegrass Music Association is a fitting honor. Not because Steve Martin is actually bringing anything new to the genre. His love of the music shines through in his well-arranged performances. Martin’s belief that bluegrass, oldtime and new-age banjo playing, is underappreciated in the world led him to further the cause by sponsoring an unprecedented annual banjo excellence award. A panel of a few of the world’s best players help determine the most deserving candidates. In 2010 Noam Pikelney received the $50,000 prize for being a great technical player and a blossoming example of what the future may bring to the music. In 2011 Sammy Shelor, a veteran traditional player got his well-deserved recognition for his contributions to bluegrass. And in 2012 Mark Johnson, innovative clawhammer stylist combining the old-time techniques with more contemporary material led to his award. Not only does the financial award inspire and encourage the musicians, but it delivers well-deserved national attention through exposure to millions on the Letterman show and elsewhere. 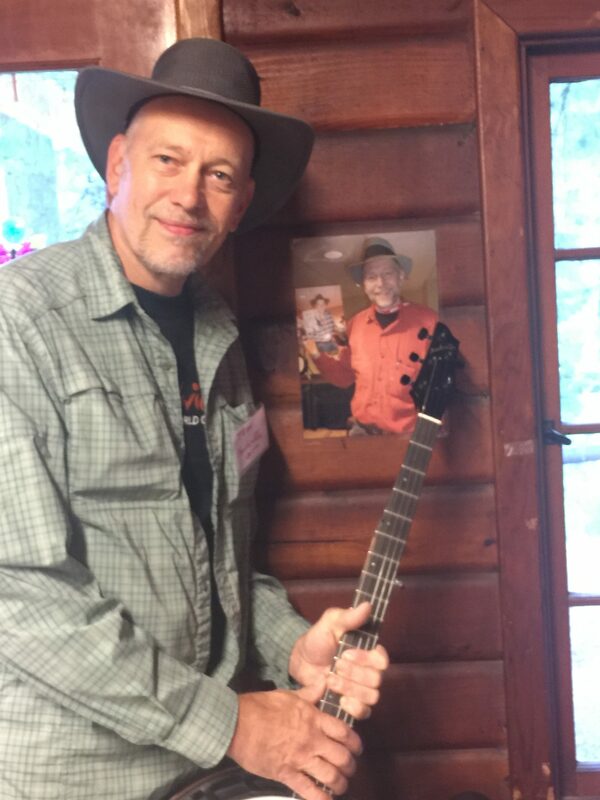 On behalf of all banjo players across the globe, I’d like to heartily thank Mr. Martin for his love of the music, and his willingness to support players of this wonderful instrument in such a generous and meaningful way. Here is an example of one Hollywood star who follows his passions and is making a difference in a “real world” way. The general impression of what I have seen in my travels the past few years is that Acoustic music is flourishing in many parts of the world. While recorded music sales have undergone a huge change with the advent of digital music, handmade acoustic music has grown through presentation at live festival events, along with a widening of participation as “jammers” and hobby musicians. 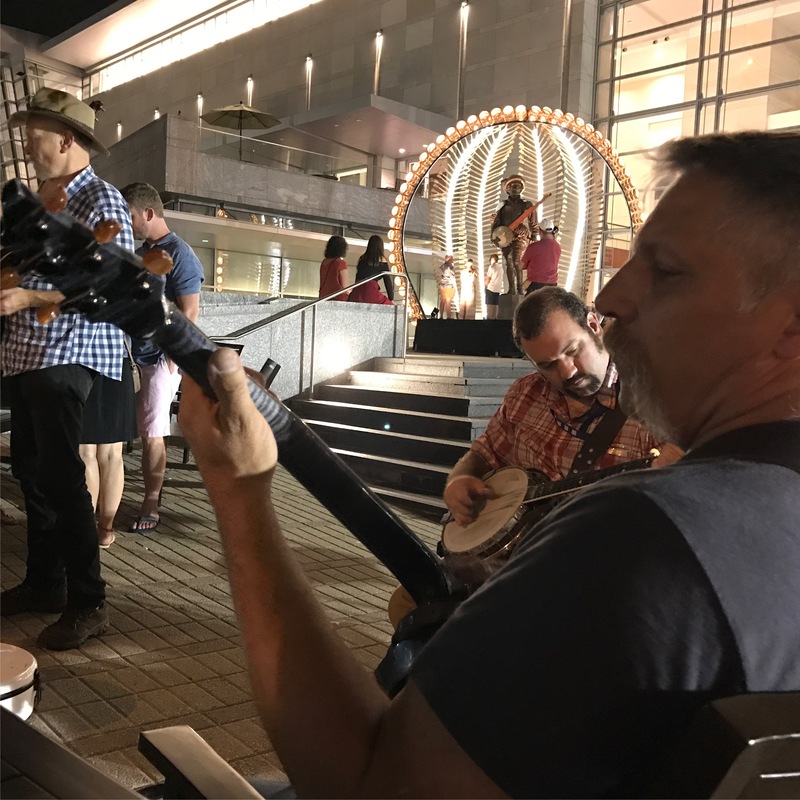 Music has proven to be a fulfilling and fun social event for all ages and such acoustic music including folk and traditional continues to spread at the Grass roots level. While mainstream media does not highlight this music much, increasing awareness of folk and acoustic alternatives has a positive effect upon acoustic instrument sales. 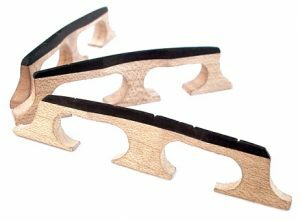 In particular, the banjo has been on an upswing, and sales of Nechville banjos have been strong through the slow economy of the last few years. 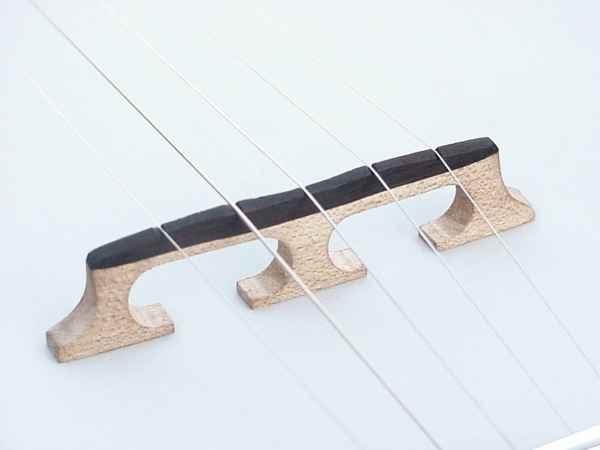 Sales statistics show all fretted string instruments on the rise. The vast majority of banjos are relatively low quality imports from the far east, and many players that stick with banjo are now in the market for a better banjo. Nechville is becoming a clearer choice due to their unique and sensible high quality designs. I see plenty evidence that participatory social music of Bluegrass, Folk and Oldtime is here to stay. As more and more people discover the enjoyment and challenge of learning to play, our jamming circle will soon extend around the world.